Military and intelligence leaders agree that the next major war is not likely to be fought on the battleground but in cyber space. Richard Stiennon argues the era of cyber warfare has already begun. Recent cyber attacks on United States government departments and the Pentagon corroborate this claim. China has compromised email servers at the German Chancellery, Whitehall, and the Pentagon. In August 2008, Russia launched a cyber attack against Georgia that was commensurate with their invasion of South Ossetia. This was the first time that modern cyber attacks were used in conjunction with a physical attack. Every day, thousands of attempts are made to hack into America's critical infrastructure. These attacks, if successful, could have devastating consequences. 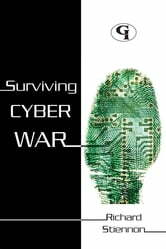 In Surviving Cyberwar, Stiennon introduces cyberwar, outlines an effective defense against cyber threats, and explains how to prepare for future attacks. 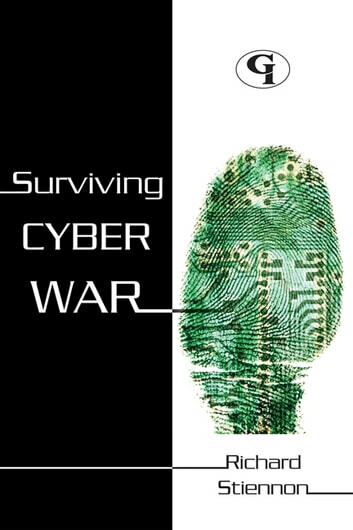 finishes by considering how major democracies are preparing for cyberwar and predicts ways that a new era of cyber conflict is going to impact the Internet, privacy, and the way the world works. This text is a stimulating and informative look at one of the gravest threats to Homeland Security today, offering new insights to technologists on the front lines, helping policy makers understand the challenges they face, and providing guidance for every organization to help reduce exposure to cyber threats. It is essential reading for anyone concerned with the current geopolitical state of affairs.